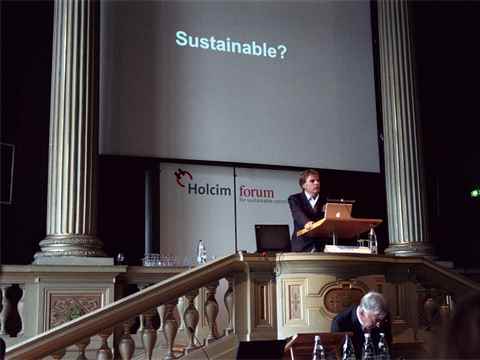 Simon Upton, Chairman of the OECD Round Table on Sustainable Development, New Zealand/France delivering his keynote speech at the 1st International Holcim Forum 2004 in Zurich, Switzerland. 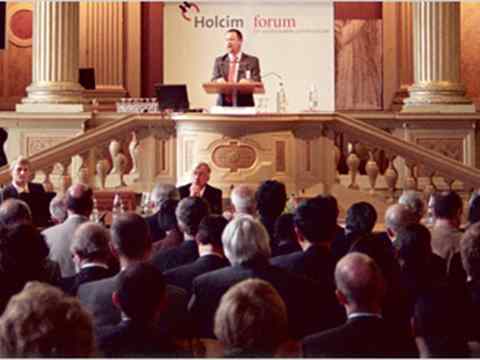 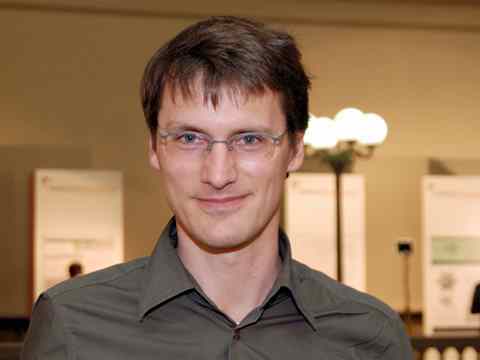 Welcome address - Gerhard Schmitt, Vice-President of ETH Zurich, Switzerland. 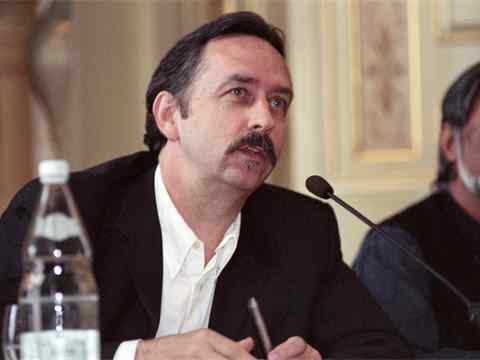 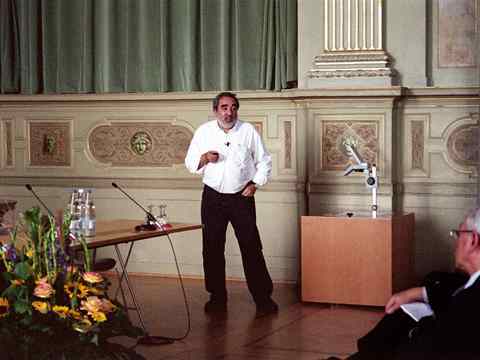 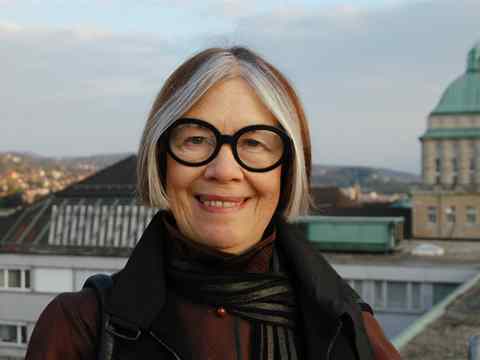 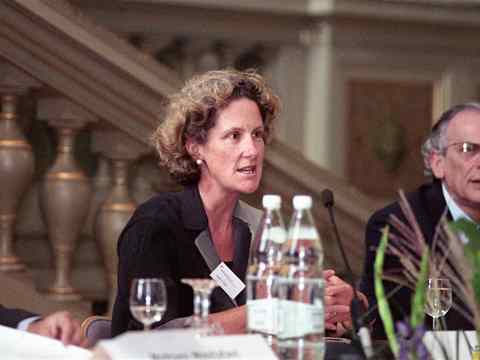 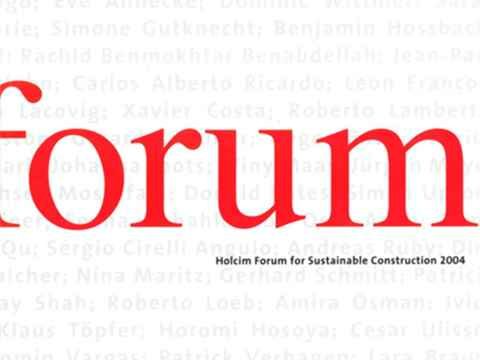 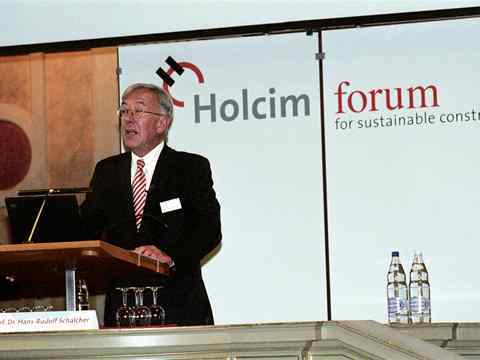 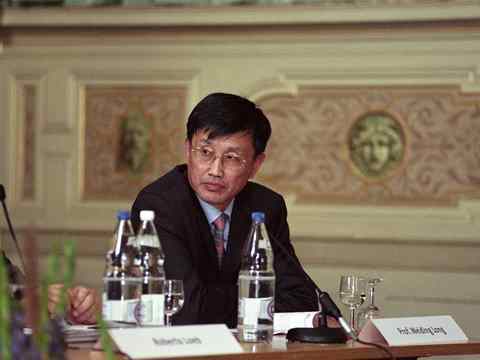 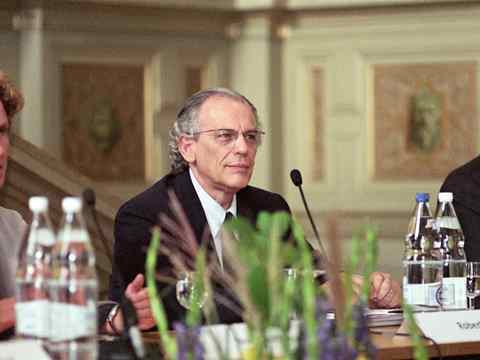 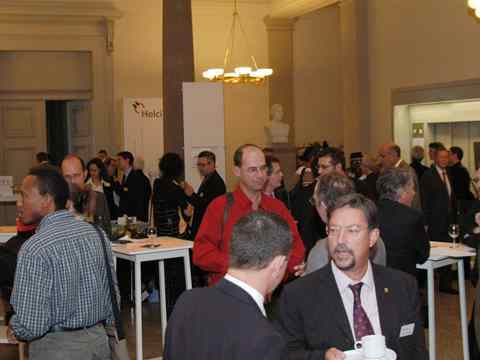 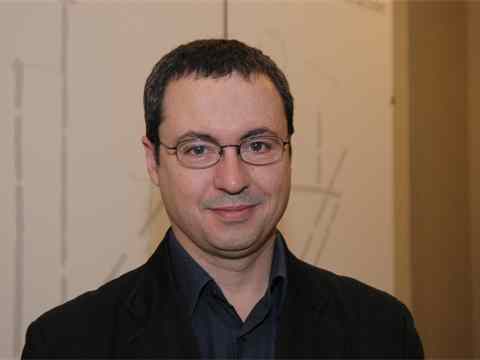 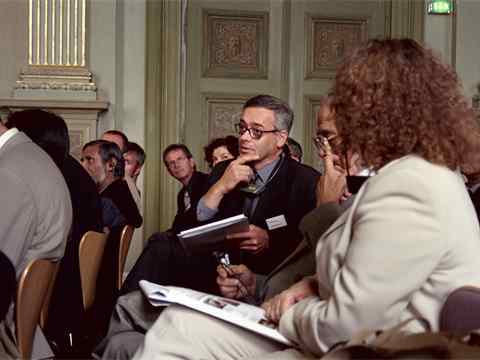 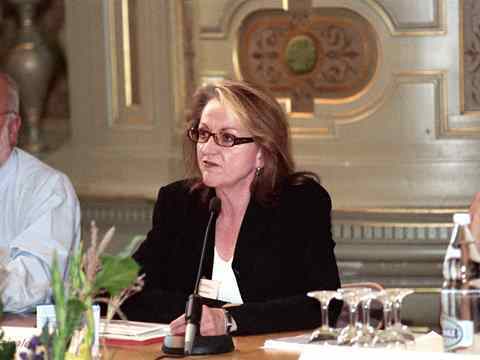 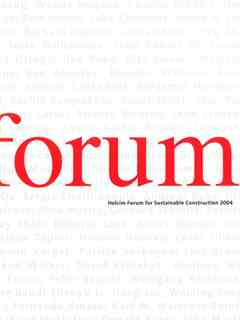 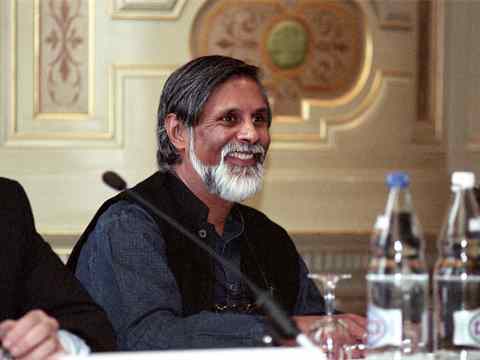 Donald Bates participated in the expert panel and open discussion on drivers, barriers and better policy frameworks for sustainable construction at the 1st Holcim Forum on "Basic Needs" in Zurich in September 2004. 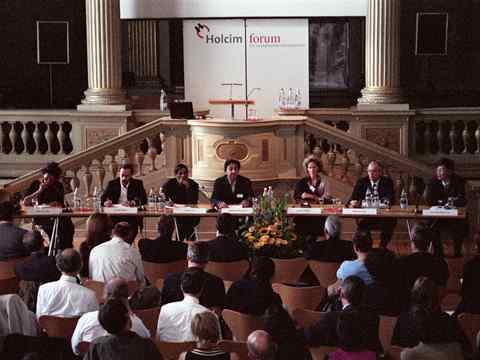 Case studies panel: Eve Annecke, South Africa; Donald Bates, Australia; Ashok B. Lall, India; Mohsen Mostafavi, USA (moderator); Luisa Hutton, Germany; Roberto Loeb, Brazil; Weiding Long, China. 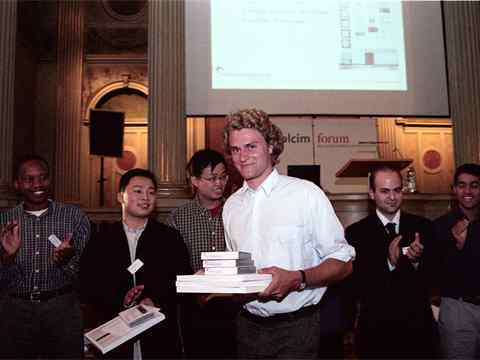 1st International Holcim Forum 2004 in Zurich: Florian Graf (ETH Zurich), Switzerland receiving the first prize of the student poster competition. 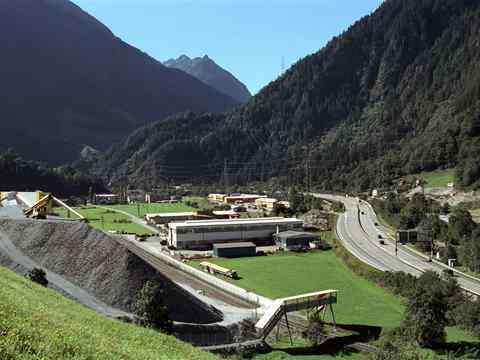 Construction site of the new Gotthard railway tunnel (NEAT). 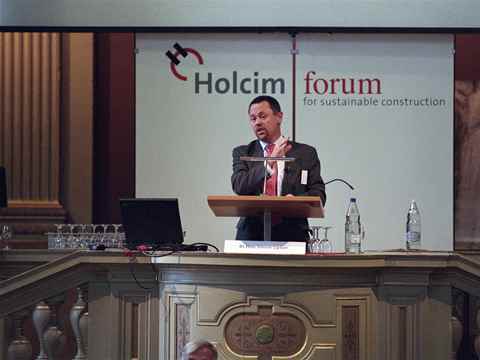 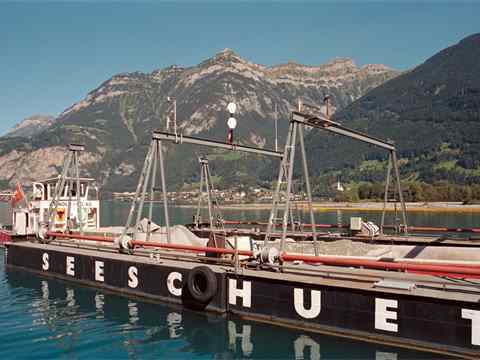 The post event tour showcased sustainable construction and natural wonders in Switzerland. 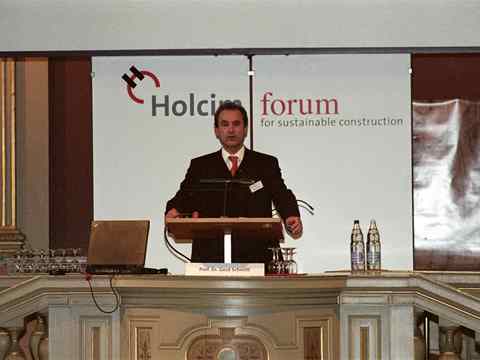 Landfill and flood protection project at Flüelen. 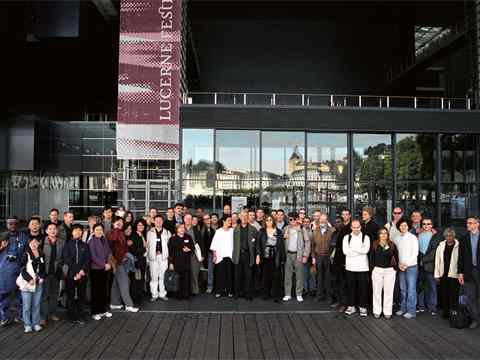 Guided tour of the Culture and Congress Center Lucerne (KKL). 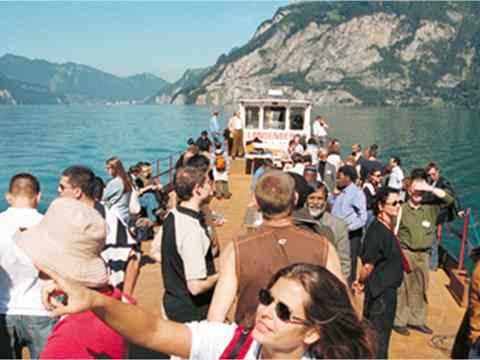 Excursion to Mount Titlis whith spectacular views from the cable station at 3020 meters above sea level. 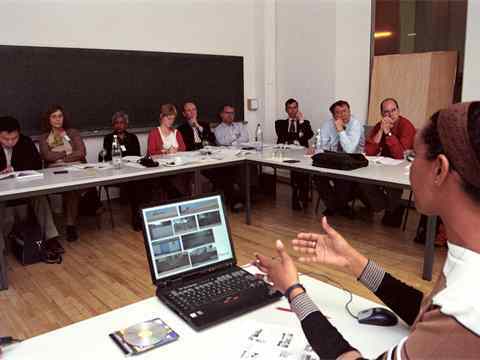 Working Group, moderated by Adèle Santos, USA, discussing the topic of "Common housing - gated communities". 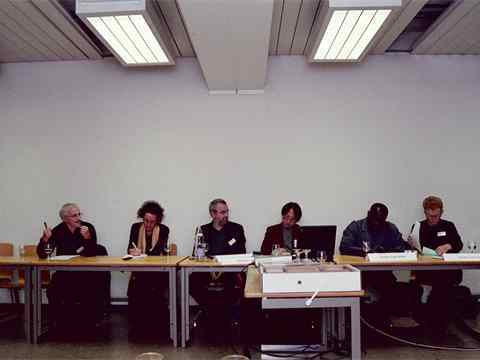 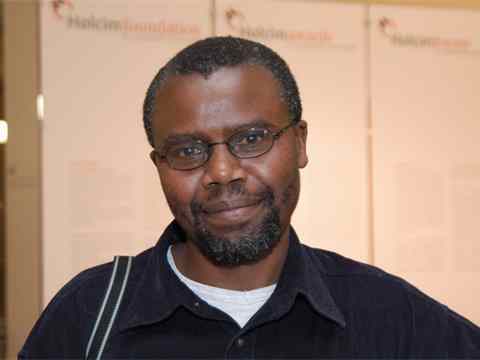 Working Group, moderated by Daniel Irurah, South Africa, discussing the topic of "Shrinking cities - urban renewal". 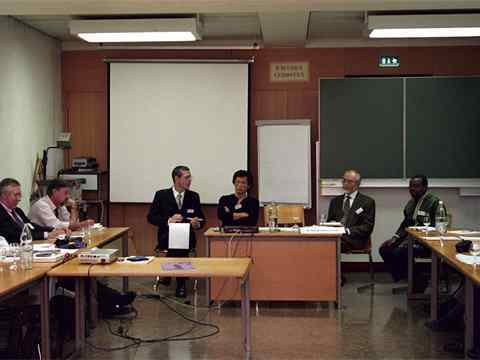 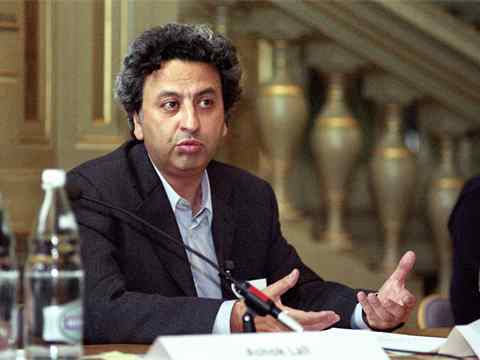 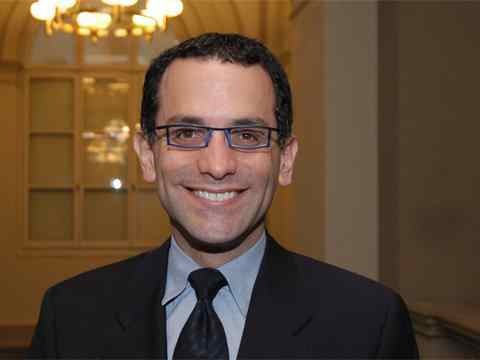 Working group moderated by Reed Kroloff, USA discussing the topic of "Learning environments - dificiency of resources".